Willow Grace: Safety First. Danger Next. Camp Retz is over and everyone is back in their respective homes. Tired but happy. 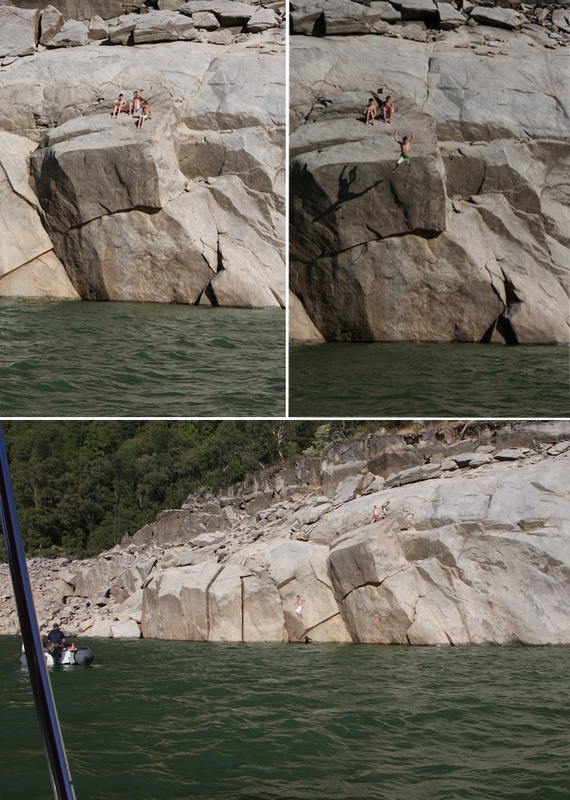 Every year, our days on the lake consist of boating, tubing and rock jumping. As the boys get older, bolder, stronger and braver, they're doing more heart palpating adventures. But, as the saying goes, Safety First! Life vests for everyone! Then you can go as fast as you can. Fishing is pretty safe. For the humans at least. Maybe not so much for the fish. 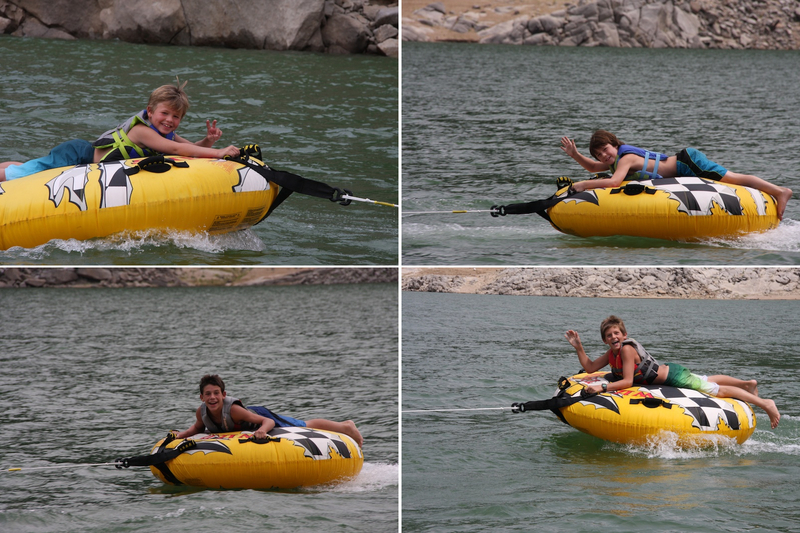 Tubing is fun, fast and safe because if when you crash, you just crash into water. Next on the list is rock jumping. A little more dangerous than the previous activities, but dad's always there to make sure they clear any hidden rocks. Ending the day and the week with the most dangerous jump. My stomach jumped to my throat. But I had confidence that the dads had scoped the spot and made sure it was deep enough. 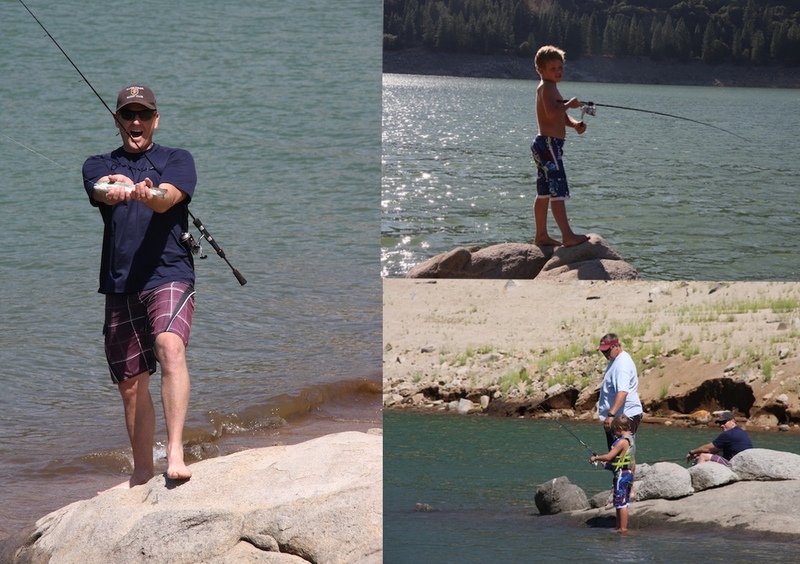 But these boys fearlessly jumped at least 25 feet into the lake off that rock. That's almost as tall as a 3 story building! So our running joke this week was Safety First. Danger Last. Thankfully with nothing but a few bruises and scrapes that we'd all acquired though the course of the week.